For all Sky Bet customers. Dover v Cambridge – 14/1 Cambridge to win 2-1. Expires 17/11/2016 before 19:45. For all Ladbrokes customers. Dover v Cambridge United – 5/2 Dover to score in both halves. Expires 17/11/2016 before 19:45. For all Sky Bet customers. Leeds v Newcastle – 15/2 Chris Wood to score first. Expires 20/11/2016 before 13:15. For all Sky Bet customers. Leeds v Newcastle – 7/2 Dwight Gayle to score first. Expires 20/11/2016 before 13:15. For all William Hill customers. Messi’s club on the 1st day La Liga season 2018/19 – 14/1 Messi to Man Utd. Expires 17/11/2016 before 22:00. For all William Hill customers. Liverpool Special – 2/1 Liverpool score 100 or more goals in the 16/17 EPL season. Expires 17/11/2016 before 22:00. We publish value betting odds from multiple bookmakers on a regular basis. Best of luck with your betting selections for today. You can get all of these odds boost on the BookieBoost app. This entry was posted in Bookie Offers on 17th November 2016 by Betmeister. For all Ladbrokes customers. EFL Trophy Double – 9/2 Milwall and Oldham both to win (was 4/1). Expires 8/11/16 before 19:30. For all Ladbrokes customers. N. Ireland Double – 9/4 Crusaders and Linfield both to win (was 15/8). Expires 8/11/16 before 19:45. For all Ladbrokes customers. Scottish Double – 9/4 Dundee United and Annan both to win (was 15/8). Expires 8/11/16 before 19:45. For all William Hill customers. PFA Player of the Year 2016/17 – 66/1 Michy Batshuayi. Expires 11/8/16 before 22:00. For all William Hill customers. FIFA Coach of the Year – 50/1 Didier Deschamps. Expires 11/8/16 before 22:00. For all William Hill customers. Next Permanent England Manager – 50/1 Phillip Neville. Expires 11/8/16 before 22:00. This entry was posted in Bookie Offers on 8th November 2016 by Esther Calinawan. For all Sky Bet customers. Southport v Fleetwood – 125/1 Declan Weeks to score first and either Draw 1-1 or Southport to win 2-1. Expires 7/11/16 before 19:45. For all Sky Bet customers. Southport v Fleetwood – 50/1 Ashley Hunter to score first and Fleetwood to win 3-1. Expires 7/11/16 before 19:45. For all Sky Bet customers. Southport v Fleetwood – 50/1 Southport to win 2-0. Expires 7/11/16 before 19:45. For all Ladbrokes customers. Monday Double – 7/4 Fleetwood and Lens both to win (was 6/4). Expires 7/11/16 before 19:30. For all Ladbrokes customers. Southport – Fleetwood – 11/2 Ashley Hunter to score first (was 9/2). Expires 7/11/16 before 19:45. For all Ladbrokes customers. Southport – Fleetwood – 13/2 Southport to score in both halves (was 11/2). Expires 7/11/16 before 19:45. For all William Hill customers. Celtic Specials – 5/1 Celtic to go unbeaten in 2016/17 Scottish Premiership. Expires 11/19/16 before 12:00. For all William Hill customers. Domestic Euro Treble – Enhanced Odds – 9/1 Wurzburger Kickers, Lens And Ternana All To Win (Was 15/2). Expires 11/7/16 before 19:15. For all William Hill customers. Next Permanent England Manager – 50/1 Phillip Neville. Expires 11/7/16 before 22:00. This entry was posted in Bookie Offers on 7th November 2016 by Esther Calinawan. For all Ladbrokes customers. Arsenal v Tottenham – 4/1 Mesut Ozil to score & Arsenal win (was 10/3). Expires 6/11/2016 before 12:00. For all Sky Bet customers. Arsenal v Spurs – 14/1 Tottenham to win 2-1 (was 12/1). Expires 6/11/2016 before 12:00. For all Sky Bet customers. Sevilla v Barcelona – 66/1 Ivan Rakitic to score first and Barcelona to win 2-1. Expires 11/6/16 before 19:45. For all Ladbrokes customers. Serie A Treble – 4/1 AC Milan, Genoa and Juventus all to win (was 10/3). Expires 6/11/16 before 14:00. For all Sky Bet customers. Leicester v West Brom – 110/1 James Morrison to score first and either West Brom to win 2-0 or West Brom to win 2-1. Expires 11/6/16 before 16:30. For all Ladbrokes customers. MLS Treble – 6/1 Colorado Rapids, NY Red Bulls and NY City all to win (was 11/2). Expires 6/11/16 before 19:05. For all Sky Bet customers. Colorado v LA Galaxy – 60/1 LA Galaxy to win 3-0. Expires 11/6/16 before 19:00. This entry was posted in Bookie Offers on 6th November 2016 by Betmeister. For all Sky Bet customers. Chelsea v Everton – 125/1 Yannick Bolasie to score first and either Everton to win 2-1 or Everton to win 3-1. Expires 11/5/16 before 17:30. For all Sky Bet customers. Bristol City v Brighton – 45/1 Tammy Abraham to score first and Bristol City to win 2-1. Expires 11/5/16 before 17:30. For all Sky Bet customers. Oldham v Doncaster – 13/2 James Coppinger to score first. Expires 11/5/16 before 15:00. For all Ladbrokes customers. NCAA American Football – 6/1 Michigan State Baylor and LSU all to win (was 5/1). Expires 5/11/16 before 16:00. For all Ladbrokes customers. Goalscorer Treble – 4/1 Lewandowski, Griezmann, Aguero all to score at anytime (was 7/2). Expires 5/11/16 before 14:30. For all Ladbrokes customers. FA Cup Banker – 6/1 Bradford, Bolton, MK Dons, Northampton, Peterborough, Portsmouth all to win (was 5/1). Expires 5/11/16 before 15:00. This entry was posted in Bookie Offers on 5th November 2016 by Esther Calinawan. For all Sky Bet customers. Fenerbahce v Manchester Utd – 50/1 Wayne Rooney to score first and Manchester Utd to win 2-0. Expires 11/3/16 before 18:00. For all Sky Bet customers. Fenerbahce v Manchester Utd – 20/1 Manchester Utd to win 3-1. Expires 11/3/16 before 18:00. For all Sky Bet customers. Southampton v Inter Milan – 125/1 Ivan Perisic to score first and either Inter Milan to win 2-0 or Inter Milan to win 3-1. Expires 11/3/16 before 20:05. For all Ladbrokes customers. FC Astana – Olympiakos – 5/1 Astana to score in both halves (was 4/1). Expires 3/11/16 before 16:00. For all Ladbrokes customers. Fenerbahce – Man United – 9/2 Man United to score 3 or more goals (was 4/1). Expires 3/11/16 before 18:00. For all Ladbrokes customers. Zenit – Dundalk – 6/1 Zenit to win by 5 or more goals (was 5/1). Expires 3/11/16 before 18:00. This entry was posted in Bookie Offers on 3rd November 2016 by Esther Calinawan. For new Betfair customers. 12/1 Leicester to beat Copenhagen. Offer ends 19:45. £10 maximum stake. For new Betfair customers. Get 7/1 on Tottenham Hotspur to beat Bayer Leverkusen at Wembley. £10 maximum stake. For new Coral customers: Fenerbahce v Man Utd. Man Utd to Win – 40/1 (Max bet £/€1) Winnings Paid In Free Bets Plus £/€5 free bet if your bet loses. Ends Thursday night at kick off. For all Sky Bet customers. FC Copenhagen v Leicester – 66/1 Marc Albrighton to score first and either Leicester to win 2-1 or Leicester to win 2-0. Expires 11/2/16 before 19:45. For all Sky Bet customers. FC Copenhagen v Leicester – 50/1 Riyad Mahrez to score first and Leicester to win 1-0. Expires 11/2/16 before 19:45. For all Sky Bet customers. Tottenham v Bayer Leverkusen – 100/1 Kevin Kampl to score first and Bayer Leverkusen to win 2-1. Expires 11/2/16 before 19:45. For all Ladbrokes customers. Juventus – Lyon – 11/4 G. Higuain to score 2 or more goals (was 5/2). Expires 2/11/16 before 19:45. For all Ladbrokes customers. 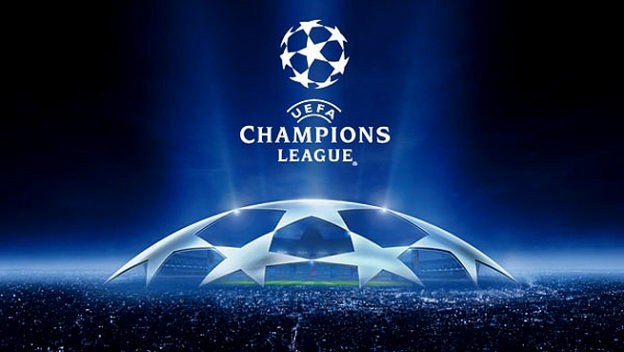 Champions League Treble – 6/1 Dortmund, Leicester and Sevilla all to win (was 6/1). Expires 2/11/16 before 19:45. For all Ladbrokes customers. FC Copenhagen – Leicester – 11/2 A. Cornelius to score first (was 9/2). Expires 2/11/16 before 19:45. This entry was posted in Bookie Offers on 2nd November 2016 by Betmeister. For all Sky Bet customers. Ludogorets v Arsenal – 28/1 Alexis Sanchez to score first and Arsenal to win 1-0. Expires 11/1/16 before 19:45. For all Sky Bet customers. Ludogorets v Arsenal – 28/1 Ludogorets to win 2-1. Expires 11/1/16 before 19:45. For all Sky Bet customers. Manchester City v Barcelona – 45/1 Luis Suarez to score first and Barcelona to win 2-0. Expires 11/1/16 before 19:45. For all Ladbrokes customers. Man City – Barcelona – 9/4 Barcelona to win both halves (was 2/1). Expires 1/11/16 before 19:45. For all Ladbrokes customers. Besiktas – Napoli – 9/4 4 or more goals in the game (was 2/1). Expires 1/11/16 before 19:45. For all Ladbrokes customers. Champions League Treble – 11/2 Barcelona, Benfica and PSG all to win (was 5/1). Expires 1/11/16 before 19:45. For all William Hill customers. Man City Trophy Multiples – 16/1 Premier League & Champions League . Expires 11/1/16 before 19:45. For all William Hill customers. Arsenal Trophy Multiples – 50/1 Premier League & Champions League . Expires 11/1/16 before 19:45. For all William Hill customers. Arsenal Trophy Multiples – 40/1 League Cup & Champions League. Expires 11/1/16 before 19:45. This entry was posted in Bookie Offers on 1st November 2016 by Esther Calinawan. For all Sky Bet customers. Stoke v Swansea – 40/1 Wilfried Bony to score first and Stoke to win 2-1. Expires 31/10/16 before 20:00. For all Sky Bet customers. Stoke v Swansea – 14/1 Leroy Fer to score first. Expires 31/10/16 before 20:00. For all Sky Bet customers. Stoke v Swansea – 13/2 Borja Baston to Score and Swansea to Win in 90 Mins. Expires 31/10/16 before 20:00. For all Ladbrokes customers. Udinese – Torino – 14/5 Udinese to score in both halves (was 13/5). Expires 31/10/16 before 18:00. For all Ladbrokes customers. Deportivo La Coruna – Valencia – 4/1 Deportivo to win and 3+ goals in the game (was 7/2). Expires 31/10/16 before 19:45. For all Ladbrokes customers. Cagliari – Palermo – 9/4 Palermo to score 2 or more goals (was 2/1). Expires 31/10/16 before 20:00. For all William Hill customers. Next Premier League Manager To Leave – 100/1 Mauricio Pochettino . Expires 31/10/16 before 20:00. For all William Hill customers. Next Premier League Manager To Leave – 50/1 Claude Puel . Expires 31/10/16 before 20:00. For all William Hill customers. Arsenal Trophy Multiples – 750/1 Premier League , FA Cup , League Cup & Champions League. Expires 1/11/16 before 19:45. This entry was posted in Bookie Offers on 31st October 2016 by Esther Calinawan. For all Sky Bet customers. Everton v West Ham – 85/1 Simone Zaza to score first and either West Ham to win 2-0 or West Ham to win 3-1. Expires 30/10/16 before 13:30. For all Sky Bet customers. Southampton v Chelsea – 150/1 David Luiz to score first and Chelsea to win 2-1. Expires 30/10/16 before 16:00. For all Sky Bet customers. Stoke v Swansea – 50/1 Wayne Routledge to score first and either Draw 1-1 or Swansea to win 2-0. Expires 31/10/16 before 20:00. For all Ladbrokes customers. Sampdoria – Inter – 12/5 Inter to win and 3 or more goals in the game (was 11/5). Expires 30/10/16 before 19:45. For all Ladbrokes customers. Bundesliga Double – 11/4 Hoffenheim and FC Koln both to win (was 5/2). Expires 30/10/16 before 16:30. For all Ladbrokes customers. Southampton – Chelsea – 14/5 4 or more goals in the game (was 13/5). Expires 30/10/16 before 16:00. For all William Hill customers. Ballon d’Or 2016 – Winner – 100/1 Diego Godín. Expires 31/10/16 before 00:00. For all William Hill customers. Ballon d’Or 2016 – Winner – 100/1 Gianluigi Buffon. Expires 31/10/16 before 00:00. For all William Hill customers. Ballon d’Or 2016 – Winner – 100/1 Jamie Vardy. Expires 31/10/16 before 00:00. This entry was posted in Bookie Offers on 30th October 2016 by Esther Calinawan. For all Sky Bet customers. Crystal Palace v Liverpool – 50/1 Jordan Henderson to score first and either Liverpool to win 2-1 or Liverpool to win 3-1. Expires 29/10/16 before 17:30. For all Sky Bet customers. Blackburn v Wolves – 45/1 Helder Costa to score first and either Wolves to win 2-1 or Wolves to win 3-1. Expires 29/10/16 before 17:30. For all Sky Bet customers. Barcelona v Granada – 80/1 Ivan Rakitic to score first and Barcelona to win 3-1. Expires 29/10/16 before 19:45. For all Ladbrokes customers. Saturday Enhanced Treble – 7/5 Barcelona, Juventus and Ajax all to win (was 6/5). Expires 29/10/16 before 19:45. For all Ladbrokes customers. Saturday Enhanced Treble – 21/10 Man United, Man City and Tottenham all to win (was 19/10). Expires 29/10/16 before 15:00. For all Ladbrokes customers. Saturday Enhanced Treble – 23/10 Liverpool, Dortmund and Atl Madrid all to win. Expires 29/10/16 before 17:30. For all William Hill customers. Mythical Match Specials – 10/11 Blackburn To Score More Than Burnley. Expires 29/10/16 before 15:00. For all William Hill customers. Mythical Match Specials – 4/5 Man Utd Not To Score More Than Man City. Expires 29/10/16 before 15:00. For all William Hill customers. Mythical Match Specials – 6/4 Derby To Score More Than Nottingham Forest. Expires 29/10/16 before 15:00. This entry was posted in Bookie Offers on 29th October 2016 by Esther Calinawan. For all Sky Bet customers. QPR v Brentford – 75/1 Conor Washington to score first and QPR to win 2-0. Expires 28/10/16 before 19:45. For all Sky Bet customers. QPR v Brentford – 28/1 Romaine Sawyers to score first and either Brentford to win 1-0 or Brentford to win 2-1. Expires 28/10/16 before 19:45. For all Sky Bet customers. Sunderland v Arsenal – 33/1 Theo Walcott to score first and Arsenal to win 2-1. Expires 29/10/16 before 12:30. For all Ladbrokes customers. Benfica – Pacos Ferreira – 16/5 Benfica to win and 5 or more goals in the game (was 14/5). Expires 28/10/16 before 19:00. For all Ladbrokes customers. Lille – PSG – 14/5 Lille to score first (was 12/5). Expires 28/10/16 before 19:45. For all Ladbrokes customers. B M’Gladbach – E. Frankfurt – 5/1 M’Gladbach to win both halves (was 4/1). Expires 28/10/16 before 19:30. For all William Hill customers. Next Premier League Manager To Leave – 80/1 Ronald Koeman. Expires 28/10/16 before 22:00. For all William Hill customers. Next Premier League Manager To Leave – 100/1 Jurgen Klopp. Expires 28/10/16 before 22:00. For all William Hill customers. Next Premier League Manager To Leave – 100/1 Mauricio Pochettino . Expires 28/10/16 before 22:00. This entry was posted in Bookie Offers on 28th October 2016 by Esther Calinawan. For all Ladbrokes customers. Swedish Treble – 13/2 AIK, Helsingborgs and IFK Gothenburg all to win (was 11/2). Expires 27/10/16 before 18:00. For all Ladbrokes customers. Thursday Double – 18/5 Ghent and Udinese both to win (was 16/5). Expires 27/10/16 before 19:30. For all Ladbrokes customers. Palermo – Udinese – 7/1 5 or more goals in the game (was 6/1). Expires 27/10/16 before 19:45. For all William Hill customers. Arsenal Trophy Multiples – 1000/1 Premier League , FA Cup , League Cup & Champions League. Expires 29/10/16 before 12:30. For all William Hill customers. Arsenal Trophy Multiples – 500/1 Premier League , FA Cup & Champions League . Expires 29/10/16 before 12:30. For all William Hill customers. Ballon d’Or 2016 – Winner – 200/1 Sergio Ramos. Expires 31/10/16 before 00:00. This entry was posted in Bookie Offers on 27th October 2016 by Esther Calinawan. For all Sky Bet customers. Manchester Utd v Manchester City – 66/1 Paul Pogba to score first and Manchester Utd to win 2-1. Expires 26/10/16 before 20:00. For all Sky Bet customers. Manchester Utd v Manchester City – 33/1 Nolito to score first and either Manchester City to win 2-0 or Manchester City to win 2-1. Expires 26/10/16 before 20:00. For all Sky Bet customers. Manchester Utd v Manchester City – 25/1 Manchester Utd to win 3-1. Expires 26/10/16 before 20:00. For all Ladbrokes customers. EFL Cup Treble – 13/2 Chelsea, Man United and Southampton all to win (was 11/2). Expires 26/20/16 before 19:45. For all Ladbrokes customers. Inter – Torino – 11/4 Iago Falque to score anytime (was 23/10). Expires 26/20/16 before 19:45. For all Ladbrokes customers. Ross County – Celtic – 10/3 Ross County to win or draw (was 11/4). Expires 26/20/16 before 19:45. For all William Hill customers. Manchester Derby Specials – 33/1 Guardiola To be sent off from the touchline. Expires 26/10/16 before 20:00. For all William Hill customers. Early Evening Cup – Enhanced Treble – 5/1 Sturm Graz, Sparta Prague And Bordeaux All To Win In 90 Mins (was 9/2). Expires 26/10/16 before 15:30. For all William Hill customers. Chelsea Trophy Multiples – 200/1 Premier League , FA Cup & League Cup. Expires 26/10/16 before 19:45. This entry was posted in Bookie Offers on 26th October 2016 by Esther Calinawan. For all Sky Bet customers. Liverpool v Tottenham – 16/1 Tottenham to win 1-0. Expires 25/10/16 before 19:45. For all Sky Bet customers. Liverpool v Tottenham – 66/1 Heung-Min Son to score first and either Tottenham to win 2-1 or Tottenham to win 3-1. Expires 25/10/16 before 19:45. For new Paddy Power customers. Get 6/1 on the Reds to beat Spurs at Anfield tonight. Maximum bet £10 and the offer ends at kick of 19:45. For all William Hill customers. Tottenham Trophy Multiples – 100/1 Spurs win the League and FA Cups. Expires 25/10/16 before 19:45. This entry was posted in Bookie Offers on 25th October 2016 by Betmeister. For all Sky Bet customers. Bury v Bolton – 100/1 Neil Danns to score first and Bury to win 2-1. Expires 23/10/16 before 19:45. For all Sky Bet customers. Bury v Bolton – 50/1 Ameobi to score 1st & and Bolton win 2-1 or 3-1. Expires 42667 before 19:45. For all Sky Bet customers. Bury v Bolton – 33/1 Bury to win 3-1. Expires 42667 before 19:45. For all Ladbrokes customers. Bury – Bolton – 13/5 4 or more goals in the game (was12/5). Expires 24/10/16 before 19:45. For all Ladbrokes customers. Bury – Bolton – 11/2 James Vaughan to score first (was 9/2). Expires 24/10/16 before 19:45. For all Ladbrokes customers. Monday Double – 16/5 Bolton and Braga both to win (was 14/5). Expires 24/10/16 before 19:45. For all William Hill customers. Next Premier League Manager To Leave – 33/1 Walter Mazzarri. Expires 24/10/16 before 16:00. For all William Hill customers. Next Premier League Manager To Leave – 40/1 Arsene Wenger. Expires 24/10/16 before 16:00. For all William Hill customers. Next Premier League Manager To Leave – 80/1 Ronald Koeman. Expires 24/10/16 before 16:00. This entry was posted in Bookie Offers on 24th October 2016 by Esther Calinawan. For all Sky Bet customers. Chelsea v Manchester Utd – 75/1 Zlatan Ibrahimovic to score first and Manchester Utd to win 2-0. Expires 23/10/16 before 16:00. For all Sky Bet customers. Rangers v Celtic – 80/1 Barrie McKay to score first and either Rangers to win 1-0 or Rangers to win 2-1. Expires 23/10/16 before 14:15. For all Sky Bet customers. Real Madrid v Athletic Bilbao – 150/1 Iker Muniain to score first and either Draw 1-1 or Athletic Bilbao to win 2-0. Expires 23/10/16 before 19:45. For all Ladbrokes customers. Sevilla – Atl. Madrid – 11/2 Atl. Madrid to win both halves (was 9/2). Expires 23/10/16 before 15:15. For all Ladbrokes customers. Chelsea – Man United – 13/2 Eden Hazard to score first (was 11/2). Expires 23/10/16 before 16:00. For all Ladbrokes customers. Rangers – Celtic – 10/3 Celtic to win both halves (was 11/4). Expires 23/10/16 before 16:00. For all William Hill customers. Rang v Celt And Man C v S’ton And Chel v Man U – Money Back Treble – 9/1 10+ Goals, 35+ Corners And 18+ Cards Over Both Matches. Expires 23/10/16 before 13:30. This entry was posted in Bookie Offers on 23rd October 2016 by Esther Calinawan. For new Paddy Power customers. Get 4/1 on the Gunners to down Middlesbrough on Saturday at 15:00. For new Paddy Power customers. Get 6/1 on Spurs to beat Bournemouth on Saturday at 12:30. For all Sky Bet customers. Burton v Birmingham – 55/1 Jamie Ward to score first and Burton to win 2-1. Expires 21/10/16 before 19:45. For all Sky Bet customers. Burton v Birmingham – 33/1 Birmingham to win 3-1. Expires 21/10/16 before 19:45. For all Sky Bet customers. Bournemouth v Tottenham – 60/1 Christian Eriksen to score first and Tottenham to win 2-0. Expires 22/10/16 before 12:30. For all Ladbrokes customers. Hamburg – Eintracht Frankfurt – 7/4 Both teams to score and Either side to win (was 5/4). Expires 21/10/16 before 19:30. For all Ladbrokes customers. Friday Enhanced Double – 4/1 Burton and Monaco both to win (was 7/2). Expires 21/10/16 before 19:45. For all Ladbrokes customers. Monaco – Montpellier – 9/4 Monaco to be leading at 30 minutes (was 7/4). Expires 21/10/16 before 19:45. For all William Hill customers. England Specials – 2/5 England to appoint a permanent manager before the 1st January 2017. Expires 21/10/16 before 22:00. For all William Hill customers. Next Premier League Manager To Leave – 100/1 Mauricio Pochettino. Expires 21/10/16 before 22:00. For all William Hill customers. Next Permanent England Manager – 33/1 Brendan Rodgers. Expires 21/10/16 before 22:00. This entry was posted in Bookie Offers on 21st October 2016 by Esther Calinawan. For new Coral customers. Manchester United v Fenerbahce – Man Utd to beat Fenerbache. Max bet £/€5 with winnings paid in free bets. Expires 20/10/16 before 20:05. For all Sky Bet customers. Inter Milan v Southampton – 150/1 Antonio Candreva to score first and Inter Milan to win 3-1. Expires 20/10/16 before 18:00. For all Sky Bet customers. Inter Milan v Southampton – 50/1 Dusan Tadic to score first and either Southampton to win 2-0 or Southampton to win 2-1. Expires 20/10/16 before 18:00. For all Sky Bet customers. Manchester Utd v Fenerbahce – 90/1 Emmanuel Emenike to score first and either Fenerbahce to win 2-1 or Fenerbahce to win 3-1. Expires 20/10/16 before 20:05. For all Ladbrokes customers. Salzburg – Nice – 6/1 5 or more goals in the game (was 5/1). Expires 20/10/16 before 18:00. For all Ladbrokes customers. Europa Treble – 10/1 Celta Vigo, H. Beer Sheva and Krasnodar all to win (was 17/2). Expires 20/10/16 before 18:00. For all Ladbrokes customers. Inter – Southampton – 4/1 Ivan Perisic to score and Inter to win (was 3/1). Expires 20/10/16 before 18:00. This entry was posted in Bookie Offers on 20th October 2016 by Esther Calinawan. For all Sky Bet customers. Arsenal v Ludogorets – 50/1 Mesut Ozil to score first and Arsenal to win 3-1. Expires 19/10/16 before 19:45. For all Sky Bet customers. Barcelona v Manchester City – 125/1 Raheem Sterling to score first and either Manchester City to win 2-0 or Manchester City to win 2-1. Expires 19/10/16 before 19:45. For all Sky Bet customers. Celtic v Borussia Monchengladbach – 66/1 Scott Sinclair to score first and Celtic to win 2-1. Expires 19/10/16 before 19:45. For all Ladbrokes customers. Arsenal – Ludogorets – 12/5 Arsenal to win and 5 or more goals in the game (was 2/1). Expires 19/10/16 before 19:45. For all Ladbrokes customers. B. Munich – PSV – 7/1 R. Lewandowski to score a hat-trick (was 11/2). Expires 19/10/16 before 19:45. For all Ladbrokes customers. Barcelona – Man City – 5/2 Barcelona to win both halves (was 2/1). Expires 19/10/16 before 19:45. This entry was posted in Bookie Offers on 19th October 2016 by Esther Calinawan. For all Sky Bet customers. Bayer Leverkusen v Tottenham – 70/1 Erik Lamela to score first and either Tottenham to win 2-0 or Tottenham to win 3-1. Expires 18/10/16 before 19:45. For all Sky Bet customers. Leicester v FC Copenhagen – 50/1 Islam Slimani to score first and Leicester to win 2-1. Expires 18/10/16 before 19:45. For all Sky Bet customers. Leicester v FC Copenhagen – 40/1 Daniel Drinkwater to score first and either Leicester to win 1-0 or Leicester to win 2-0. Expires 18/10/16 before 19:45. For all Ladbrokes customers. B. Leverkusen – Tottenham – 4/1 Tottenham to score in both halves (was 10/3). Expires 18/10/16 before 19:45. For all Ladbrokes customers. Champions League Double – 9/2 Sevilla and Tottenham both to win (was 4/1). Expires 18/10/16 before 19:45. For all Ladbrokes customers. Leicester – Copenhagen – 17/2 Fed. Santander to score and Copenhagen to win (was 7/1). Expires 18/10/16 before 19:45. For all William Hill customers. Enhanced Treble – 33/1 Dortmund, Leverkusen And Leicester All To Win And Over 2.5 Goals In Each Game. Expires 18/10/16 before 19:45. This entry was posted in Bookie Offers on 18th October 2016 by Betmeister. For all Sky Bet customers. Liverpool v Manchester Utd – 15/2 Sadio Mane to score first. Expires 17/10/16 before 20:00. For all Sky Bet customers. Liverpool v Manchester Utd – 20/1 Roberto Firmino to score first and either Liverpool to win 1-0 or Liverpool to win 2-0. Expires 17/10/16 before 20:00. For all Sky Bet customers. Liverpool v Manchester Utd – 14/1 Manchester Utd to win 2-1. Expires 17/10/16 before 20:00. For all Ladbrokes customers. Eibar – Osasuna – 4/1 Eibar to win both halves (was 10/3). Expires 17/10/16 before 19:45. For all Ladbrokes customers. Palermo – Torino – 16/5 Alessandro Diamanti to score anytime (was 14/5). Expires 17/10/16 before 19:45. For all Ladbrokes customers. Monday Double – 16/5 Liverpool and Eibar both to win (was 14/5). Expires 17/10/16 before 19:45. For all William Hill customers. Arsenal Trophy Multiples – 1000/1 Premier League , FA Cup , League Cup & Champions League. Expires 17/10/16 before 20:00. For all William Hill customers. Man City Trophy Multiples – 400/1 Premier League , FA Cup , League Cup & Champions League. Expires 17/10/16 before 20:00. For all William Hill customers. Tottenham Trophy Multiples – 2500/1 Premier League , FA Cup , League Cup & Champions League. Expires 17/10/16 before 20:00. This entry was posted in Bookie Offers on 17th October 2016 by Betmeister.